Is being the chosen one all it’s cracked up to be? Maybe it is and maybe it isn’t, and in this Big Idea for Tommy Black and the Coat of Invincibility, author Jake Kerr has choice thoughts on being “chosen” and the choices the chosen ones (and their authors) might have. When you are writing a four book series, there is a lot of room to pursue ideas, both big and small, and in my Tommy Black series I’m taking full advantage of that. There are subtle things like all of the accurate historical elements I weave into the background, the fact that there is really no real bad guy in book one, and the morally complex role of magic. However, my biggest idea has to be that I’m doing my best to destroy the traditional “chosen one” coming-of-age genre trope. The consequences of that lead to a lot of interesting and fun things. We’re all familiar with the chosen one—Harry Potter, Percy Jackson, and a wide range of heroes going back to the roots of the genre—the young boy who is given a special power or responsibility, and it his his destiny to use it for good. At the beginning of Tommy Black and the Staff of Light, that’s exactly what happens—Tommy is given his grandfather’s magical staff, told that it is his family’s legacy and that he must somehow learn its power to follow in his famous grandfather’s footsteps. In the process of going down that path, however, Tommy is confronted with several aspects of his legacy that he finds wrong and unacceptable. He decides to re-define it into him working against much of what his family had done in the past. He still has powerful magic, and he is still the chosen one. He has just decided to abandon the legacy part. 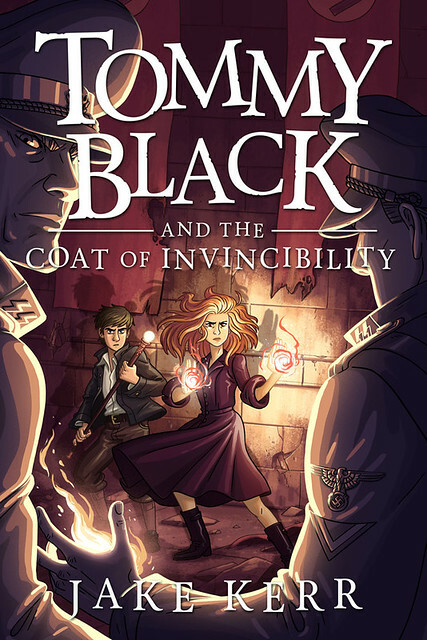 That’s all well and good and not entirely groundbreaking, but the events in book two, Tommy Black and the Coat of Invincibility, lead Tommy down a challenging new path—his power starts to become unstable with the unearthing of other magical artifacts and other “chosen ones” wielding them. 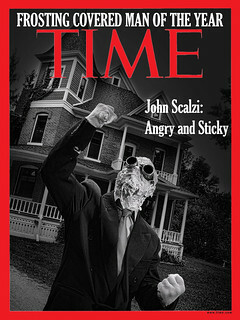 The result is that his role as hero changes, as do the roles of his friends. This was actually quite challenging to write. We want our heroes to be heroes, and when they are confronted with challenges, it is disappointing to have someone else save them. Creating a narrative where Tommy fails and yet isn’t a failure made me reconsider how I approach conflict within a novel. For example: Could I take away Tommy’s powers and still give him a chance to shine? How would I do that? One strategy for dealing with that is to have another character that everyone is rooting for. Luckily for me, I have Naomi. She is Tommy Black’s best friend, and, like Hermione Granger, she is a hard-working and astonishingly skilled magician. Unlike Hermione, however, Naomi is all forward momentum, and as Tommy struggles with the unreliability of his powers, Naomi jumps in and saves the day on a number of occasions. 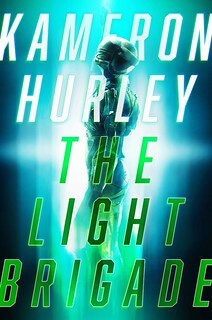 One of the recurring comments I’ve heard from young readers of Tommy Black and the Staff of Light has been, “I want to see more of Naomi” or “Please have Naomi do more with her magic.” It was as if there was this untapped desire by readers to give the sidekick or the young girl a turn in the spotlight. And that’s exactly what I’ve done. In my case, it is by design, and Naomi is the perfect character to fill that role. She loves magic so much and works so hard at it that she trusts it implicitly. As a result, she barrels ahead with utter faith in her abilities, overwhelming warships at sea, German army units with guns and mortars, and an elite squad of Nazi magicians. Of course that confidence is also a flaw, and that’s part of the fun—watching how the changing power dynamic between Tommy and Naomi is grounded in a foundation of mutual support and friendship. They help each other with their weaknesses. As the series progresses, that’s really the big idea I am excited about pursuing—Tommy the Chosen One struggling with the knowledge that his true path may be to go back to being the normal boy he was when he started, and the girl whose life he saved growing into the role she has built for herself: a young woman with great power taking over as the true savior of the world. In fact, the fourth book of the Tommy Black series won’t have his name on the cover. It will have Naomi’s. By the way, “big idea” sounds kind of deep and philosophical. That’s not bad, of course, but don’t forget that this is a fantasy action/adventure series set during World War 2. I have Nazi magicians for goodness’ sake. I want the Tommy Black books to be just as fun as the Edgar Rice Burroughs and J. R. R. Tolkien books I read when I was twelve. If readers don’t walk away with a smile on their face, I’ve failed. With that in mind, here is an excerpt from chapter twelve, where we see the above big idea happening, while the scene itself is exciting and fun. In the end, I want Tommy to be a hero that readers cheer and root for, but not because he was chosen or because he received some magical legacy. I want him to be a hero because he’s a good person. And I want Naomi to be cheered as a hero, too, because she works harder than everyone else, and it has made her truly amazing.